Love your happy photos on this fabulous layout! 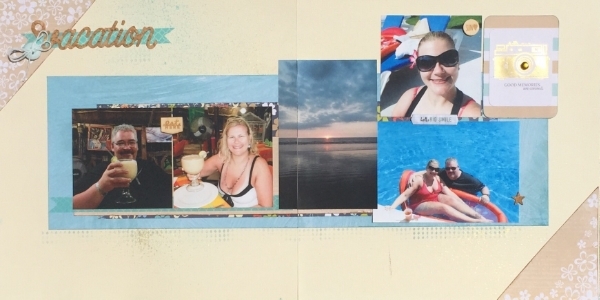 Great paper and embellishing choices for your vacation layout! Love the stamping and misting!